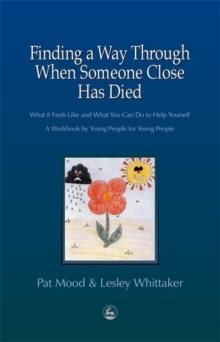 Written by children for children, this unique workbook is both written and illustrated by children and teenagers who have experienced the death of someone close to them - a parent, grandparent, sibling or friend. They describe their often confusing thoughts and emotions immediately after the bereavement and discuss how their day-to-day lives were affected, including such diverse issues as the reactions of those around them, practical changes and managing school and schoolwork. They offer advice, based on their own experiences, on how to cope with the practical and emotional upheavals of bereavement. The workbook's interactive style encourages readers to write about and draw their own feelings and experiences, to consider personal coping strategies and examine their relationships with those around them who may be able to offer support. Advice on how to seek external support and a list of helpful agencies are also provided. The supportive and interactive style of this book will make it a valuable source of help and encouragement for bereaved children and teenagers. It will also be useful to adults seeking to understand how children and teenagers experience bereavement.